Timepieces for gentlemen who enjoy the British country and countryside sports and activities - rugged construction and sensibly priced watches. 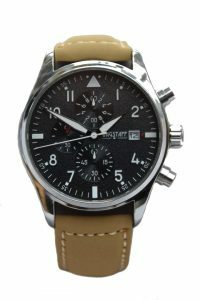 At Wagstaff Watches we like to offer a great watch at a great price. We hope you like our first offering in mens watches – The Yorkshire. In two styles, a silver case and sand leather strap and a black carbon effect case with a black leather strap.